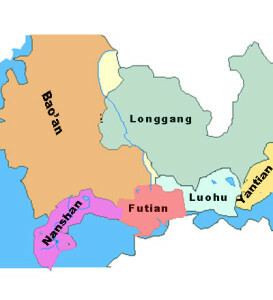 This map shows that Shenzhen, a coastal city, is located in Southern China. Shenzhen is a bridge linking the Chinese mainland with Hong Kong. 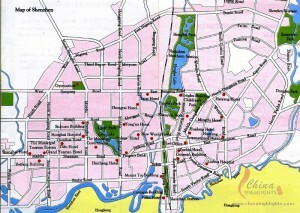 Our Shenzhen street map shows the street names and some hotels in the city. You can zoom in for a larger view. Our Shenzhen district map shows six administrative districts in the city. You can click the map for a larger view. The Shenzhen port map shows the general location of Shenzhen’s eight ports, through which travelers can get to Hong Kong. Shenzhen Bao’an International Airport and Kowloon-Guangzhou Rail Station are also marked on the map. 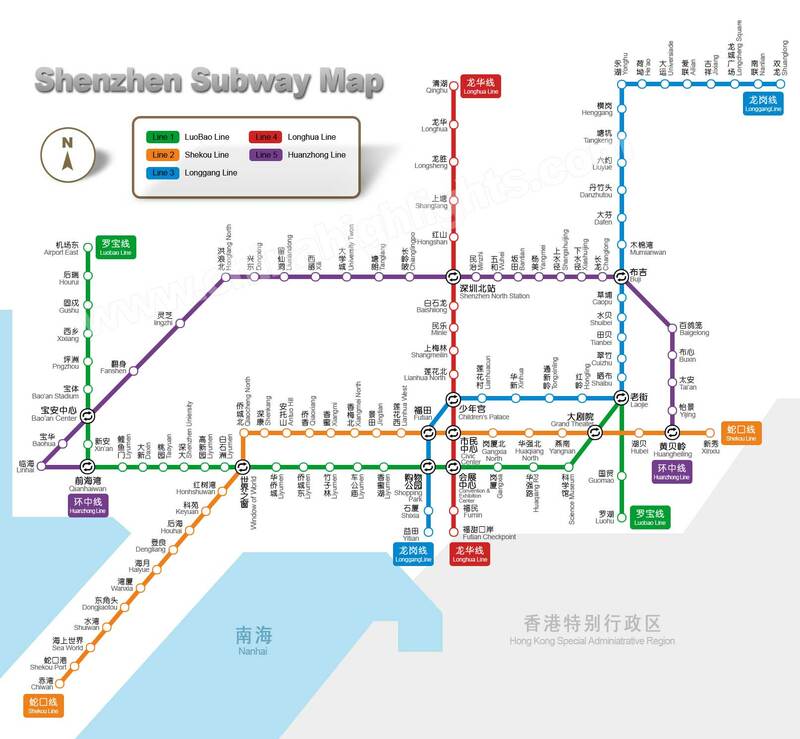 Our Shenzhen subway map shows Shenzhen’s five subway lines in an easy-to-follow diagram, with color-coded lines and station names in both English and Chinese characters. 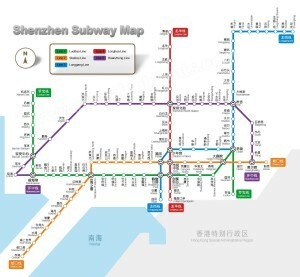 See our Shenzhen Transportation page for more detailed information. 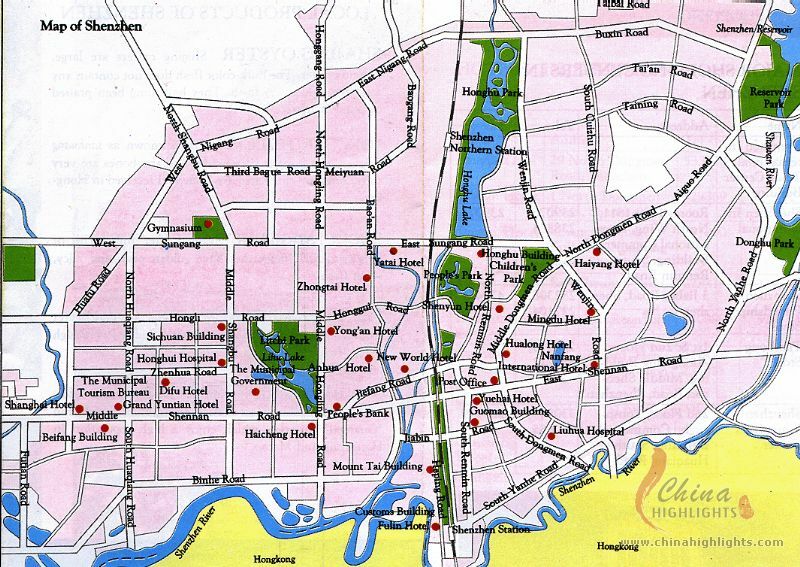 Download the large size of Shenzhen City map If you want to know more information about Shenzhen maps,Shenzhen City map, Shenzhen market map,Shenzhen China map and Shenzhen port map.please feel free to contact us.